BUOTE, GILBERT, teacher, newspaperman, and author; b. 20 Feb. 1833 in Miscouche, P.E.I., son of François Buote and Victoire Gaudet; m. 20 Feb. 1860 Madeleine Gallant in Tignish, P.E.I., and they had one son; d. there 16 July 1904. Gilbert Buote’s father was the first Acadian schoolteacher in Prince Edward Island. He taught initially in Rustico, his native parish, and then in Miscouche after his marriage in 1819. In 1835 he settled at Tignish, and he conducted classes there until about 1857. After attending his father’s school in Tignish, Gilbert Buote studied Latin and Greek with the parish priest, Peter McIntyre*, and then enrolled at Central Academy in Charlottetown. Having obtained a first-class teaching certificate, he began his career at the Tignish village school in 1851. Eighteen months later he returned to his studies, this time at the Collège de Sainte-Anne-de-la-Pocatière in Lower Canada. He came back to Prince Edward Island in 1856 or 1857 and took up teaching once again. He was to spend more than 40 years in the classroom, mainly in Tignish but also in St Mary’s Bay, N.S. 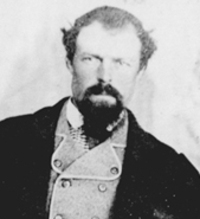 (1873–77), in Maine (1882–84), where he taught French literature, and in Cap-Pelé, N.B. (1885–91). 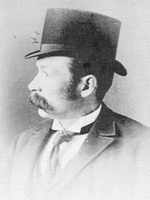 In his home province, he was principal of the Tignish grammar school from 1877 to 1882 and again from 1891 to 1898. Buote fought for the teaching of French in the Island’s Acadian schools. In 1879 he called on the chief superintendent of education, Donald Montgomery, to have a series of all-French readers incorporated in their curriculum. After the enactment in 1877 of the Public Schools Act, which made the province’s schools non-denominational [see Thomas Heath Haviland*], the Board of Education had withdrawn French-language school texts, on the grounds that they were too permeated by religion, and had substituted a bilingual series. 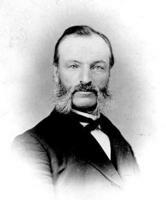 Buote’s initiative was supported by board member Joseph-Octave Arsenault* (1828–97) and proved successful. In 1882 the board officially authorized the use of the series of readers prepared by André-Napoléon Montpetit. It was following his return to Tignish in the early 1890s, after an absence of nearly ten years, that Buote made his most important contribution to the Island’s Acadian community. Struck by the rapid anglicization of his people, he decided to found a French newspaper to defend Acadian interests and promote the French language. 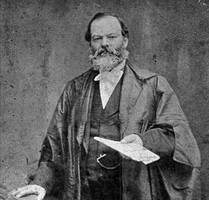 Assisted by his son, François-Joseph, a teacher and printer, he launched the weekly L’Impartial at Tignish on 22 June 1893. It bore on its masthead the Acadian motto, “Unity is strength.” “The interests of our people shall be the object of our most active vigilance when it comes to securing recognition of our rights,” proclaimed the inaugural issue. The first French newspaper published on the Island, L’Impartial was to be an effective stimulant, and through it Buote, who was its editor until his death, suggested to his readers a variety of undertakings that he believed were needed for the Acadian community to blossom. In particular, the newspaper recommended in early August 1893 that a provincial association of Acadian teachers be established “as a forum for the discussion of the main points that must be considered for the better advancement of French education in our schools.” The proposal was well received and several weeks later, on 27 September, the Association des Instituteurs Acadiens de l’Île-du-Prince-Édouard was founded with Joseph-Octave Arsenault* (d. 1918) as president. For many years this association served as a kind of mouthpiece for the Acadian community. It gave rise to other organizations, among them the Société Saint-Thomas d’Aquin, which was founded in 1919 and became the provincial association of Prince Edward Island’s Acadians. In christening his paper L’Impartial, Buote had sought to emphasize the political neutrality he intended to observe. The small Acadian population of the Island split its vote between the Liberal and Conservative parties, and in Buote’s opinion it was better not to risk alienating an important section of the community. L’Impartial often suggested that its readers unite politically to increase their strength. But, although the paper professed to be neutral, its owners were known as supporters of the Conservative party. As time went on, L’Impartial found it difficult to hide its partisanship and, especially from 1896, openly supported the Conservatives. In that year the paper attacked the Liberal mp Stanislaus Francis Perry*, an Acadian from Tignish. It accused him of showing disloyalty by voting against a bill introduced by Sir Mackenzie Bowell*’s Conservatives, aimed at restoring Catholic and French schools in Manitoba [see Thomas Greenway]. After the Conservatives were defeated in the election of June 1896, the paper continued to criticize the Liberal party and its leader, Wilfrid Laurier*. The prime minister was upbraided for overlooking his Acadian supporters in handing out government appointments. Towards 1904, however, L’Impartial, disappointed in the Conservative party, switched its allegiance to the Liberals. Still in power, they had just appointed Stanislaus Blanchard as the first Acadian judge on the Island. It also seems likely that the paper’s financial difficulties influenced its change of political orientation. With its survival in doubt, Buote would have turned to the political parties for financial support. Buote was an amateur historian and genealogist and the first Acadian in the province to publish the results of his research. He brought out a history of Tignish and a genealogy of its families in L’Impartial illustré in 1899. Some years later he published a similar study of Cascumpec in the newspaper itself. In his last years he was engaged on a history of the Acadians of Prince Edward Island, which was almost complete at the time of his death. The first published Acadian novel is attributed to Buote. Entitled Placide, l’homme mystérieux, it initially appeared as a serial in L’Impartial under the pseudonym Paul in 1904; later it was published at Tignish, but the date of publication is not recorded. The plot concerns the adventures of a young Acadian sleuth from Prince Edward Island, summoned to New York by the chief of police to track down criminals who have brought the city to a standstill. The author’s message is that Acadians who take pride in their identity and language can command respect and recognition. Well known for his outspokenness, Buote did not hesitate to criticize openly anyone who showed hostility towards the Acadians and their language. Nor was he afraid to reprimand his compatriots, whom he often found too timid in standing up for their rights. His temperament does not appear to have been conciliatory, and this combativeness was not always helpful in promoting his cause. 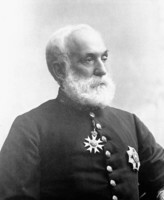 Buote died in Tignish on 16 July 1904 after an attack of paralysis. His newspaper survived him, though not without difficulties, until 1915. Faced with serious financial problems made worse by World War I, it then ceased publication, leaving a great void within the Island’s Acadian community that would not be filled for 60 years. No copy of Buote’s manuscript history of the Acadians of Prince Edward Island seems to have survived. His articles on Cascumpec appear in L’Impartial (Tignish, Î.-P.-É. ), in the issues of 17 July, 6 Nov., 20 Nov.–25 Dec. 1902, 1 Jan. 1903, and 10–24 March 1904. The novel Placide was published in 13 instalments from 21 Jan. to 18 Aug. 1904; it was also issued as a pamphlet. A copy of the latter is available at PAPEI. Arch. Paroissiales, Saint-Jean-Baptiste (Miscouche, Î.-P.-É. ), RBMS; Saint-Simon et Saint-Jude (Tignish, Î.-P.-É. ), RBMS. Centre d’Études Acadiennes, Univ. de Moncton, N.-B., Fonds F.-J. Robidoux, 4.1-9. L’Évangéline, 4 août 1904; 10 avril 1947. L’Impartial, 3 août 1893, 21 févr. 1895, 28 juill. 1904. Georges Arsenault, Les Acadiens de l’Île, 1720–1980 (2e éd., Moncton, 1989). J.-H. Blanchard, Acadiens de l’Île-du-Prince-Édouard ([Charlottetown], 1956). L’Impartial illustré (Tignish, ). Inventaire de “L’Impartial”, Gabrielle LeBlanc et Diane Lecouffe, compil. (Summerside, Î.-P.-É., 1980). Marguerite Maillet, Histoire de la littérature acadienne: de rêve en rêve (Moncton, 1983). P.E.I. House of Assembly, Journal, 1848–93 (reports of the visitor of schools, 1848–76, and of the Board of Education, 1877–93); Legislative Assembly, Journal, 1894–99 (reports of the Board of Education). Georges Arsenault, “BUOTE, GILBERT,” in Dictionary of Canadian Biography, vol. 13, University of Toronto/Université Laval, 2003–, accessed April 24, 2019, http://www.biographi.ca/en/bio/buote_gilbert_13E.html.